Buying coconut water used to be simple. I would go to my local Asian grocer and pick up a young coconut at the produce aisle. Once home, I would hack away at the coconut with an arsenal of knife, ice pick, straw, hammer, and spoon. A bit messy, yes, but also a great way to work off some frustration. Nowadays, coconut water comes in snazzy tetrapak, bottles, or cans at every supermarket and corner store. Some are flavoured with other fruit, some comes with bits of young coconut meat. Some are 100% natural, while others are made from concentrate or [eeek!] have added sweetener. It is definitely a case of buyers beware. My top choice is 100% natural coconut water with bits of young coconut meat. 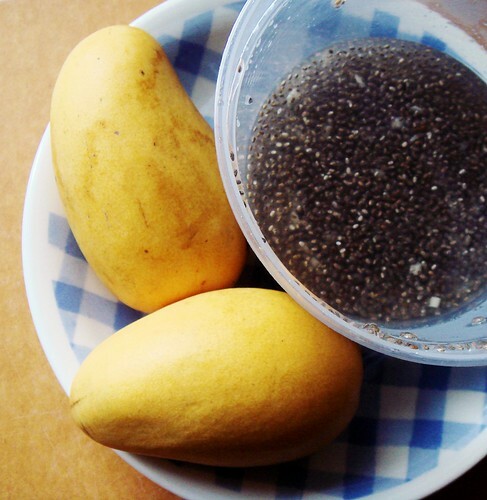 As for chia seeds, I prefer to buy them in bulk depending on how much I plan to use. 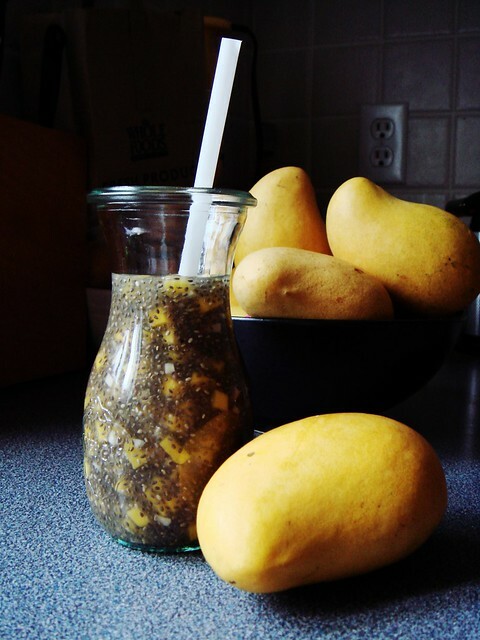 My take on Chia Coconut Water with Mango requires a bit of knife work. I wanted the mango in tiny dices, so tiny that I can sip them through a straw. Part of the fun of this drink is the gelatinous texture with slippery mango pieces and crunchy coconut bits. I certainly hope coconut water and chia seeds will not go out of fashion any time soon. I want to keep drinking this for years to come. 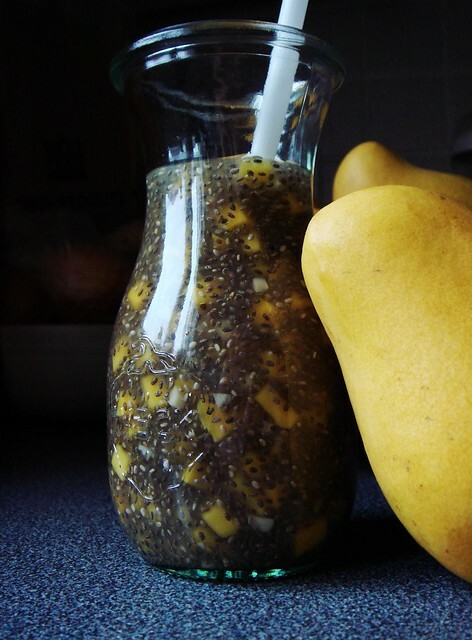 In an airtight container alternate pours of coconut water and tablespoons of chia seeds until combined. 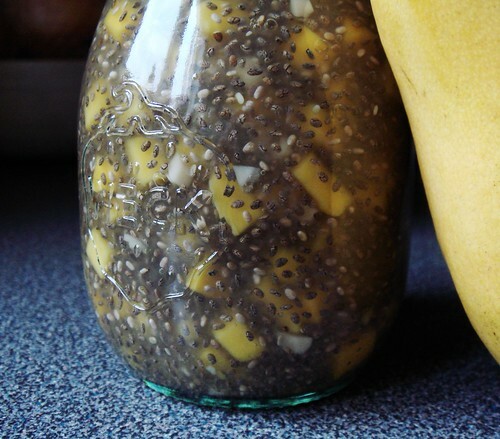 Layering the two ingredients ensure you do not end up with clumps of chia seeds. Close the lid and store in fridge overnight. The next morning, the liquid should thicken to a pourable gel. Peel and dice mangoes into tiny dices about 1/4-inch size. Stir into coconut water and serve chilled.